1Department of Pharmacology and Physiology, College of Veterinary Medicine, University of Baghdad, Iraq; 2Department of Pharmacology and Physiology, College of Veterinary Medicine, University of Baghdad, Iraq. Abstract | The objective was designed to study a comparative effect between natural folate and synthetic folic acid on pregnant mice. Folate was extracted from Spinacia oleracea leaves; a pilot study was conducted by using different doses (0.123, 0.861, 1.72, 2.5 and 3.44) mg/kg. Sixty mice were divided into four collections, first group (G1) was control group, second group (G2) was treated with folate (2.33) mg/kg of B.W, third group (G3) was treated with folic acid (0.861) mg/kg B.W, fourth group (G4) were treated with extract of Spinacia Oleracea (100) mg/kg B.W. The RBC, Hb, ovaries and uterus weight ratio, folic acid concentration and pregnancy ratio in G2 revealed a significant rise in comparison with G3, G4 and G1. LH, FSH, progesterone and estrogen levels increase statistically in G2 group when compared with G1 and G3. Uterine tissue in G2 showed an increase in the number of endomaterial glands. G4 appeared increase of endometrium thickness, while G3 showed rounded basal nuclei of the endometrial glands. Ovaries tissues in G2 and G4 showed the cortex contained numerous follicles and presence the corpus luteum. G3 revealed maturation of follicles more than G1.The study was concluded the naturally extracted folate had the ability to maintain the pregnancy ratio, RBC, Hb, regulation of reproductive hormones and level concentration of folic acid by metabolized in the small intestine more than synthetic folic acid. Keywords | Folate, Spinacia Oleracea, Synthetic folic acid, Pregnant mice. 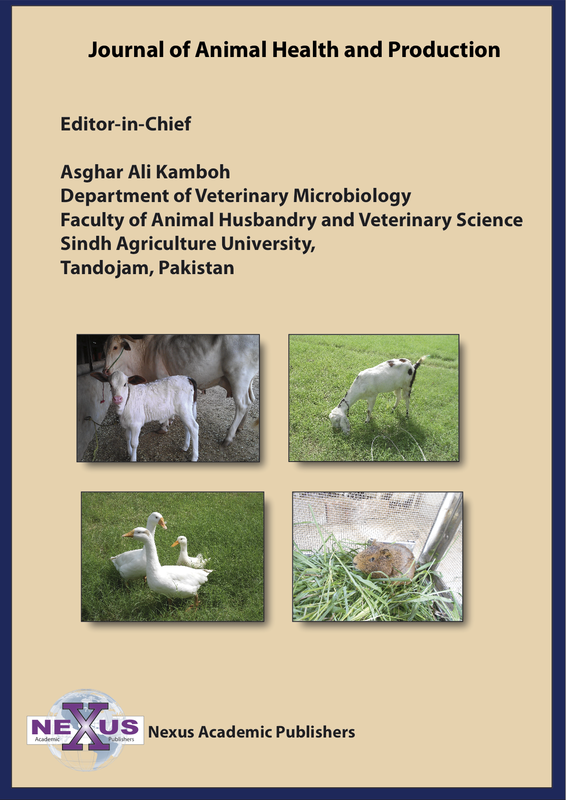 Editor | Kuldeep Dhama, Indian Veterinary Research Institute, Uttar Pradesh, India. Citation | Abbas SSA, Hasan HF (2019). Comparative pharmacodynamic effect between folate isolated from spinacia oleracea leaves and synthetic folic acid on pregnant mice. Adv. Anim. Vet. Sci. 7(4): 225-231. Copyright © 2019 Abdel-Abbas et al. This is an open access article distributed under the Creative Commons Attribution License, which permits unrestricted use, distribution, and reproduction in any medium, provided the original work is properly cited. Spinacia Oleracea had various biological activities like virus inhibitor, anthelmentic, antioxidant hepato-protective, reducing risk of breast cancer and megablastic anemia (Patil et al., 2009). Spinacia Oleracea richest source of folate and a very valuable food during pregnancy, it was highly beneficial building up the blood and in the deterrence and management of anemia (Luka et al., 2014). Folate is soluble in water and previously identified as folacin. Folate was played a vital role in the reproduction of cells in the fetus and was highly essential in a rapid proliferation of cell growth during pregnancy and fetal growth. It also acts as the carbon carrier in the formation of the “heme” and is essential in the formation of the red blood cells (Floch and Martin, 2013). Folic acid,is also identified as pteroylmonoglutamic acid, and an artificial compound (Martina et al., 1997). Folic acid was required in the embryonic phase of fetal development, prior to a stage where female become visually pregnant and during pregnancy to avoid the risk of neural tube defect and to achieve optimal-red-cell-folate levels (Czeizel and Dudás, 1992).This study was done to do a comparative effect between natural Folate and synthetic Folic acid on pregnancy mice. Plant extraction: The leaves were extracted by using 70% ethanol alcohol, by using soxhlet apparatus. According to method recorded by Sahaf and Moharramipour, (2013). Isolation of Folate: The folate has been isolated according to methods recorded by de Paiva et al. (2015). Twenty grams of spinacia Oleracea crude extract were transferred to flask and then added 400ml of extraction solution (7.6 gm of ammonium acetate, 20 gm of ascorbic acid (1%) and 1.4 µL of 2-mercaptoethanol, then the mixtures were motivated in vortex for 20 seconds and warmed at 40°C for ten minute in water bath. After that the extract was filtered, and then the extract was placed in glass Petri dish within incubator with 45°C until complete drying. Before drying folate five milliliter of filtrated folate extract was carried out to analysis by using HPLC to confirm the isolated folate. The standard of folate (5-CH3-H4-folate, H4-folate, 5-HCO-folate, 10-HCO-H4-folate, Pteroic acid, and Folic acid) was prepared by adding 1ml NaOH to 10 mg of folate then the mixture was mixed with 8 mmol/L-1 of ammonium acetate at pH 6.8. The treatment of folate in all groups was given before one week of mating and continued to late periods of pregnancy: Thirty female mice were alienated equally addicted to six collections as following:The first group was control group, the second, third, fourth, fifth, sixth and seventh groups were treated with folate at doses (0.123mg/kg, 0.861mg/kg, 1.72mg/kg, 2.5mg/kg and 3.44mg/kg) respectively given orally once time daily by stomach tube. After end the periods of folate treatment, the Hb (gm∕dl), RBC ( ∕µl) and pregnancy ratio were measured to determine the log dose response curve, in addition to calculate ED50 and maximum effective dose by using simple line equation and highest R2 to select the appropriate effective dose that given the best results according to Haley and Knott, (1992). Sixty female mice were divided into four equal group, the treatment for all groups was given orally by stomach tube before one week of mating and continued to late periods of pregnancy as following: The first group (G1) was given only distilled water as control group. The second group (G2) was treated with folate (2.33) mg/kg of B.W. The third group (G3) was treated with folic acid (0.861) mg/kg B.W. The fourth group (G4) was treated with alcoholic crude extract of Spinacia Oleracea (100) mg/kg B.W. Hemoglobin test: the test was done by using spectro-photometer according to the method mentioned by (Hasan et al., 2012). Red blood cells counting (RBCS): Isotonic solution of Hayems fluid was used for diluting the blood and counting RBCs by haemocytometer method according to Coles, (Coles, 1974). The ovary and uterus ratios were measured according to Wen et al., (2018). Ovarian and uterus ratios (%) = ovarian weight (gm.) or uterus weight (gm.) /body weight (gm.) × 100%. The pregnancy ratio according to Friedman et al. (1991). Pregnancy ratio= number of alive fetuses + number of absorbed fetuses + number of death fetuses / total number of female mating mice. The concentration of folic acid was measured according to method recorded by Molloy and Scott, (1997) with mild modification at Wahaj Al-Danalibratory/ Baghdad. The analyses of consequences were done by using the Statistical Analysis System-one way. Least significant difference LSD test at (P˂0.05) was customized to statistically compare between results means in the current study (SAS, 2012). The RBC and Hb levels in pilot study of folate treated groups at doses (0.861, 1.72, 2.583 and 3.44) mg/kg revealed a momentous elevation (P˂0.05) when linked with folate treated group at dose (0.123 mg/kg) and control group, as in Figure (1). The pregnancy ratio result of folate doses was demonstrated in Figure (2). The oral administration of folate at doses (0.861, 1.72, 2.583 and 3.44) mg/kg to mice showed a momentous elevation (P˂0.05) when likened with folate treated group at dose (0.123 mg/kg) and control group. 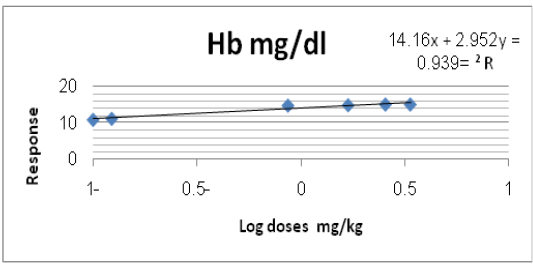 Log dose response curve, maximum effective dose and ED50: The log dose response curve of RBC count, Hb level and Pregnancy ratio% in groups of mice at late pregnancy treated with different doses of folate (0.123, 0.861, 1.72, 2.583 and 3.44) mg/kg shown in Figures (3, 4 and 5) respectively. In addition the simple line equation revealed the Maximum effective folate dose of RBC count, Hb level and Pregnancy ratio% were (2.33, 2.25 and 2.19) mg/kg respectively, while the ED50 were (0.36, 0.43 and 0.40) mg/kg respectively, the maximum effective doses of folate extract of RBC count, Hb level and Pregnancy ratio% were nearly converged and the highest one appeared with RBC count which depended in current experiment. 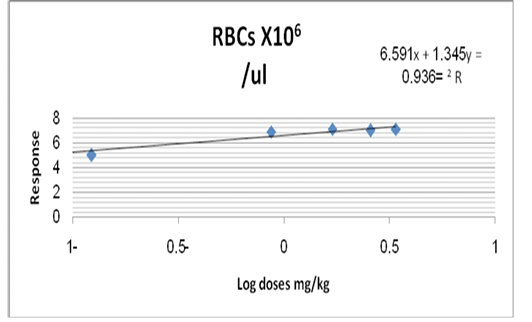 Figure 3: Log dose response curve of folate extract on Rbcsx 106/µl of mice at late pregnancy. The results of RBC and Hb in G2 revealed a significant a rise (P˂ 0.05) in comparison with G3, G4 and G1. The G3 showed statistical decrease (P˂ 0.05) in RBCc and Hb levels when compared with G2 and G4. (Table 1). 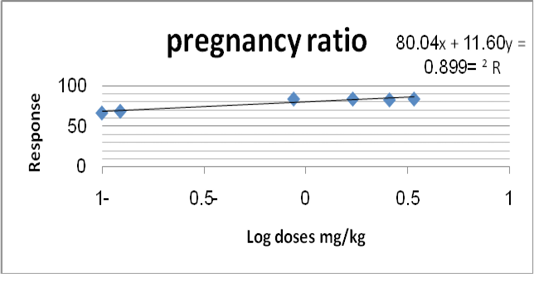 Figure 5: Log dose response curve of folate extract on pregnancy ratio (%) of mice at late pregnancy. 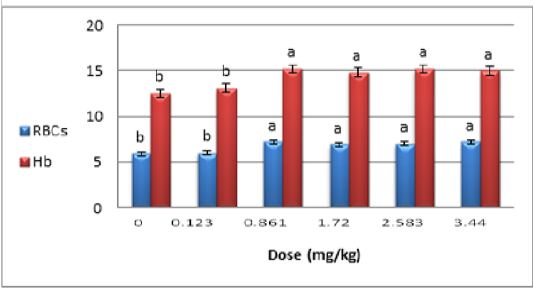 Table 1: The effect of Spinacia, Oleracea leave ethanolic extract (crude) 100mg/kg B.W, 2.38 mg/kg of B.Wfolate extract from Spinacia Oleracea and 0.861 mg/kg B.W folic acid on blood picture (Hbgm∕dl and Rbc ∕µl) in mice at late pregnancy. The folic acid concentration of mice liver tissue in G2 exhibited a momentous increase (P˂0.05) when matched with G1, G3 and G4, whereas G3 exposed a significant a rise (P˂0.05) in folic acid concentration in comparison with G1 and there was a significant decline (P˂0.05) when likened with G4. The folic acid concentration in G4 showed statistical increase (P˂0.05) in comparison with G1 (Table 2). The results in Table (3) showed that levels of LH, FSH, progesterone and estrogen in mice at late pregnancy increase statistically (P˂0.05) in of G2 when likened with G1 and G3. The results of LH, FSH, progesterone and estrogen in G3 exhibited a significant decrease (P˂0.05) as likened with G4 and there was a statistical elevation (P˂0.05) in likened with G1. Whereas the G4 showed a statistical increase (P˂0.05) in the LH, FSH, progesterone and estrogen levels in compared with G1. Table 2: The effect of Spinacia Oleracea leaves crude extract 100mg/kg B.W, folate isolated from Spinacia Oleracea (2.38 mg/kg) B.W and folic acid (0.861 mg/kg) B.W on concentration of folic acid in liver tissues (µg/ml). 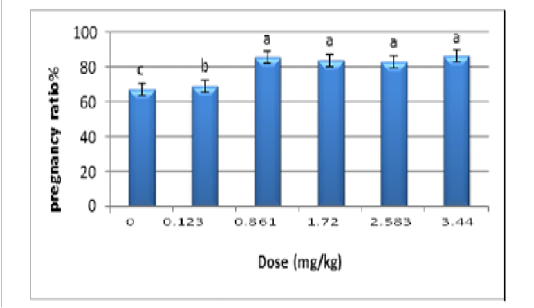 Table 3: The effect Spinacia Oleracea leaves crude extract 100mg/kg B.W, folate isolated from Spinacia Oleracea (2.38 mg/kg) B.W and folic acid (0.861 mg/kg) B.W on LH. (U/L), FSH. (U/L), Progestrone (Ng/ml) and Estrogen (Pg/ml). The pregnancy ratio in G2 revealed a statistical arise (P˂ 0.05) in comparison with the G1, G3 and G4. In the current study, the G2, G3 and G4 revealed a significant elevation (P˂0.05) in pregnancy ratio as likened with G1 group (Table 4). Table 4: The effect of Spinacia Oleracea leaves crude extract 100mg/kg B.W, folate isolated from Spinacia Oleracea (2.38 mg/kg) B.W and folic acid (0.861 mg/kg) B. on pregnancy ratio %. Histopathological study of G2 showed increase number of endometrial gland and dilation of blood vessels as compared with G1 and other treated groups as in Figure (6). The uterus of G4 appeared increase of endometrium thickness due to hyperplasia of surface epithelium of endometrium and also in lamina properia layer of uterus as compared with G1 and G3 as in Figure (7). The G3 showed an increase in number of the endometrial glands which were tall columnar with rounded basal nuclei and blood capillaries, and stromal cells as compared with G1 as in Figure (8). The G1 showed normal architecture as inFigure (9). The histological section of ovary in G2 showed the cortex contained numerous follicles at various stages of maturation and presence the corpus luteum more than G1, G3 as in Figure (10). The G4 showed the cortex contained numerous follicles at various stages of maturation and blood vessels as in Figure (11). The G3 revealed the cortex of ovary contained numerous follicles at various stages of maturation more than G1 and other groups in addition to presence the corpus luteumless than other groups, furthermore, to contain lymphatics, nerves and numerous blood vessels as in Figure (12), and finally the ovary of G1 showed normal tissue as in Figure (13). Figure 6: Histopathological section of G2 showed the endometrium of uterus and the presence of surface epithelium, lamina properia and increase number of endomaterial gland with dilation of blood vessels (H&E X 100). Figure 7: Histopathological section of G4 showed hyperplasia of endometrium of uterus (H&E X 40). Figure 8: Histopathological section of G3 showed increase in number of the endometrial glands that glandular epithelia are tall columnar with rounded basal nuclei and blood capillaries, and stromal cells, as compared with control group (H&E X 40). 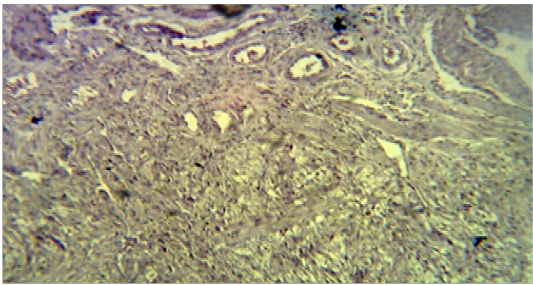 Figure 9: Histological section in G1 showed normal uterine tissue (H&E X 100). 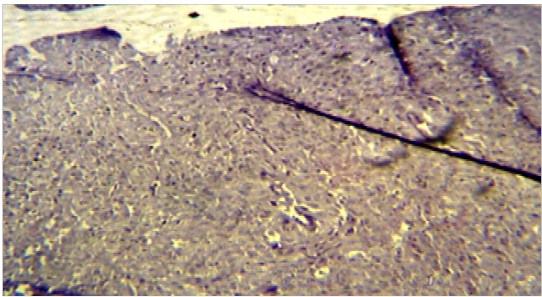 Figure 10: Histopathological section in ovary of G2 showed the cortex contained numerous follicles at various stages of maturation and corpus luteummore than G1 (H&EX40). 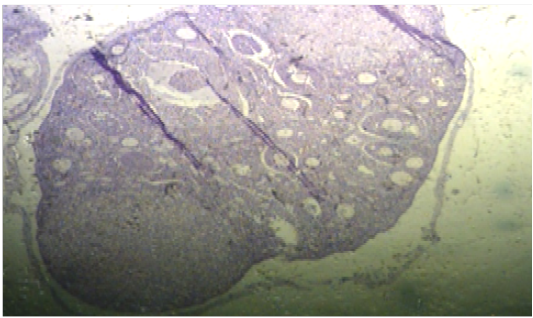 Figure 11: Histopathological section in ovary of G4 showed the cortex contained numerous follicles at various stages of maturation (H&EX400). 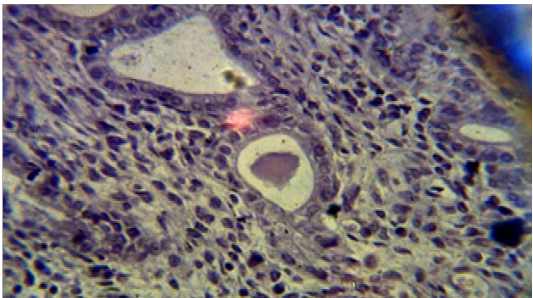 Figure 13: Ovary section of G1 showed the cortex contained several follicles at different periods of maturation, medulla contained lymphatic’s, nerves and numerous blood vessels (H&EX40). The decrease of RBC ∕µl, Hb count, folic acid concentration, estrogen, progesterone, LH, FSH and pregnancy ratio in normal pregnancy mice may be related to low blood folates led to anemia due to a metabolic block in the utilization of folate and decrease in erythrocyte folate concentration. This is followed by a rise in homocysteine concentration lead to that decrease ovarian response to endogenous FSH pulses and then disturbance in hormones production and increase in oxidative stress then decrease in pregnancy ratio, the requirement for folic acid, and hence for food folate, probably increases progressively during pregnancy. The same results reported by Aslinia et al. (2006). The increase in results of RBC ∕µl , Hb count, concentration of folic acid, estrogen, progesterone, LH , FSH and increase endomaterial gland in G2 may be attributed to Folate eventually produce a metabolite known as tetrahydrofolate (THF) which then cycles between methylenetetra-hydrofolate and the final product 5-MTHF, which is an important to increase RBC ∕µl and Hb count and played an important role in enhancement fertility lead to a crucial role in cell growth and the formation of DNA, current outcomes advocated that folate may be a vital in the response of ovary to FSH (Kamen and Smith, 2004). Furthermore, natural Folate caused decreases in the ranks of homocysteine in the circulation, and then improvement blood supply to the tissues and decrease oxidative stress lead to lead to regulation of hormones during pregnancy, enhancement pregnancy ratio and improvement cell division, reduction in cytokines creation, regulation in nitric ocide metabolism, inhibition in apoptosis and enhancement methylation reaction (Ortega et al., 2006). Folic acid can be entered the chief folate metabolic cycles in the form of tetrahydrofolate (THF). Different from natural folate, which can be metabolized to THF in the small intestinal mucosa, and converted by methylation’ into 5-MTHF before entering the bloodstream, Folate form most naturally preferred by the body, so much so that the intestinal lining has “transport proteins” that bind to it and selectively absorb it into the blood, while folic acid endures preliminary methylation and reduction in the tissue of liver, where alteration to the THF form needs di-hydrofolatereductase and this process is slow and inefficient. Folic acid can be product in unnatural altitudes of unmetabolized folic acid ingoing in circulation and accumulation in the blood (Obeid et al., 2010). The increase RBC ∕µl, Hb count, estrogen, progesterone, LH and FSH in G3 as compared with G1 may be attributed to folic acid similar to folate in producing a metabolite known as tetrahydrofolate (THF) which then cycles between methylenetetra-hydrofolate and the final product 5-MTHF. 5-MTHF is used in methionine synthase to also recycle homocysteine back into methionine lead to improve cell division, reduction in inflammatory cytokine production, regulation in NO metabolism (McNulty et al., 2013).The enhancement of RBC ∕µl, Hb count, concentration of folic acid, improvement in reproductive hormones, pregnancy ratio and increase of endomaterium thickness and the numerous follicles in G4 perhaps attributed to Spinacia Oleracea has a great nutritious contents and curative importance in the improvement of numerous ailments such as flavonoids, saponins, cardiac glycosides, terpenes, steroids, folic acid, iron, vitamins A and C, and resins. Saponin and alkaloid have been informed to own anti-anaemic by enhancing the suitable consumption of the iron presented in the extract to synthesize heme-haemoglobin for fresh red blood cells and have the ability in increase blood supply to the maternal and increase enhancement of number of fetuses and then increase pregnancy ratio (Falcone et al., 1997). Spinacia Oleracea had a high percentage of natural folate, as active ingredient which converted directly to tetrahydrofolate lead to increase folic acid concentration in liver tissue (Moll and Davis, 2017). The extract is a good source of zinc which is played critical roles during embryogenesis, fetal growth, differentiation, cells divisions, and functions that are important for tissues growth (Maret, 2009). Also Spinacia Oleracea have vitamin B complex, which increase angiogenesis of uterus and then thickness of endometrium (Zielińska et al., 2017). The study was concluded the natural extracted folate had the ability to maintain the pregnancy ratio, RBC, Hb, regulation of reproductive hormones and level concentration of folic acid by metabolized in the small intestine more than synthetic folic acid. 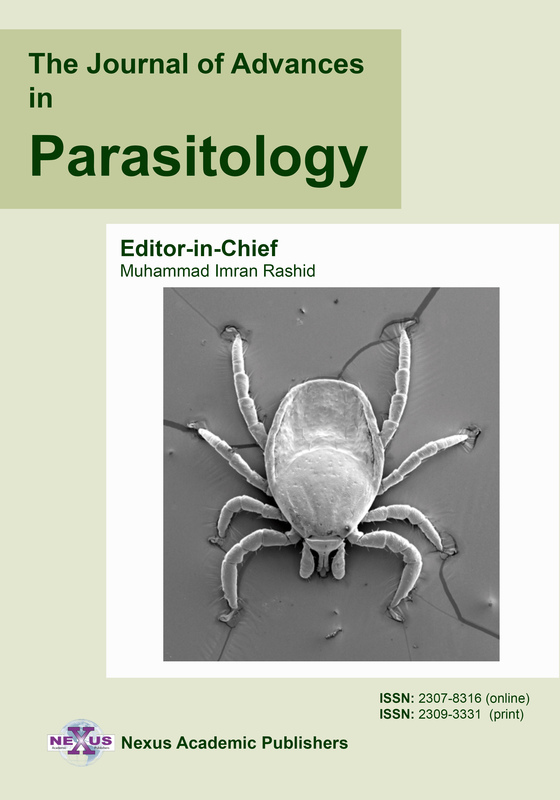 The authors would like to appreciations the Pathology Department in the Veterinary Medicine University of Baghdad for reading histological sections and Department of Pharmacognosy and Medicinal Plants, College of Pharmacy, University of Baghdad for helping in extract isolation. The authors have notany conflict of interests. Both authors were participated to the doing research work as study protocol. •	Aslinia F, Mazza JJ, Yale SH (2006). Megaloblastic anemia and other causes of macrocytosis. J. Clin. Med. Res. 4(3): 236-241.https://www.ncbi.nlm.nih.gov/pmc/articles/PMC1570488. •	Luka CD, Abdulkarim M, Adoga GI, Tijjani H, Olatunde A (2014). Anti-anaemic Potential of Aqueous Extract of Spinaciaoleracea Leaf in Phenylhydrazine-treated Rats. New York Sci. J.7(6). •	Coles EM (1974). Veterinary Clinical Pathology, 2nd Ed. (W.B. Saunders, Philadelphia). Pp. 40–120. •	Falcone A, Musto P, Rasario P, Rosella M (1997). Compounds and Methods for treatment of chemotherapy–induced Anemia. Eurn J. Haematol. 58: 34-319. •	Hasan HF, Khazal K, FandLuaibi OK (2012). The effect of crude alcoholic extract of Withania Somnifera leaves in experimentally induced arthritis in mice. J. Thiqar. Sci.4(2):45-51. •	Patil UK, Dave S, Bhaiji A, Baghel US, Yadav SK, Sharma VK (2009). In-vitro anthelmintic activity of leaves of Spinacia oleracae Linn. Int J. Toxicol. Pharmacol. Res. 1(1): 21-23. •	SAS. Statistical Analysis System User’s Guide (2012). Statistical. Version 9 .1thed , SAS . Inst .Inc . Cary. N. C . USA.